To run an efficient business, you need to be able to schedule your team from wherever you are. This is especially true if you run a home service business and are often doing work out in the field—you need to be able to update the schedule, while away from the office, so you can keep your team on task and your clients in the loop. And the Jobber community agrees! 78% of Jobber app users consider it important to be able to schedule while in the field or outside of the office. When you can update your team’s schedule from wherever you are, you are more efficient and provide better customer service. Let’s say you’re out in the field and receive a phone call from a client that requires a service visit. You don’t want to put this task off and tell your client that you’ll get back to them later. The ability to access your team’s schedule on the spot helps you make an informed decision and communicate the update to your client and team immediately. Being able to schedule out in the field also prevents admin work from piling up. Schedule your team immediately and you won’t have to schedule multiple appointments later in the day when your work in the field is wrapped. When you’re scheduling from out of the office, you need to access the correct information to make the right decision. This means identifying the best team member for a job based on their availability and understanding who is available based on the client’s preferred appointment time. Of course, to schedule efficiently and accurately, you need to be able to update the schedule in as few steps as possible. Scheduling in the Jobber app was designed with this in mind. Quickly and easily compare availability across your team so you can make fast and accurate scheduling decisions on the go. Before you add a new service call or appointment to the schedule, you need the right details up front. 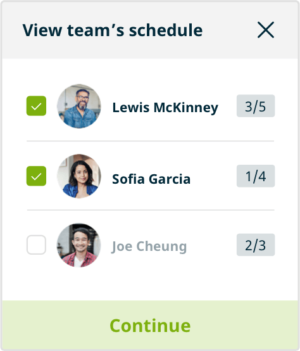 The progress indicator in the Jobber scheduling app helps you get a feel for how much each team member has on their plate. It shows what’s completed out of the total amount assigned to them that day. The progress indicator can help you identify which team member’s schedules to look at for a given day. Once you’ve shortlisted the schedules you want to look at, the team view allows you to see and compare schedules for your team side-by-side. This gives you the information you need upfront, so you can quickly find the best person, day, and time to get the job done. If you want to schedule a job or task just tap on an opening in their day. Your job or task will be booked for the time you selected with that team member assigned. 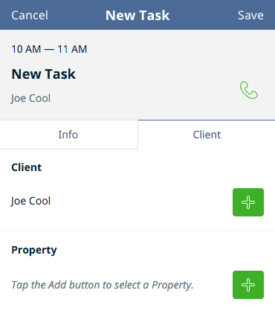 Scheduling in Jobber is included in all our plans, so whether you’re a 2 person team or have multiple crews, you’ll be able to make quick decisions, assign jobs and tasks, and keep your clients in the loop! 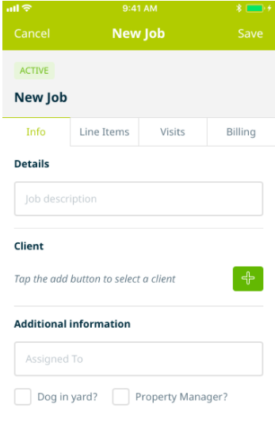 For more information on how to use the Jobber app, check out the help documentation here.